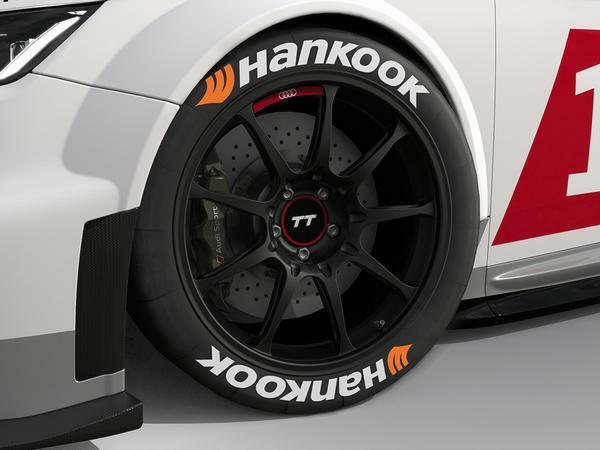 Home > News > Promotions > Win a set of Hankook tyres! Win a set of Hankook tyres! "It's Tuesday, the weekend blues have begun, it's a bit of a dreary day. What could make the day better? A competition, of course! So, in association with Hankook Tyre, we're giving one lucky PHer a lovely new set of Hankook Kinergy 4S² tyres up to the value of £500. Hankook is giving away a set of brand new all-weather Kinergy 4S² tyres. 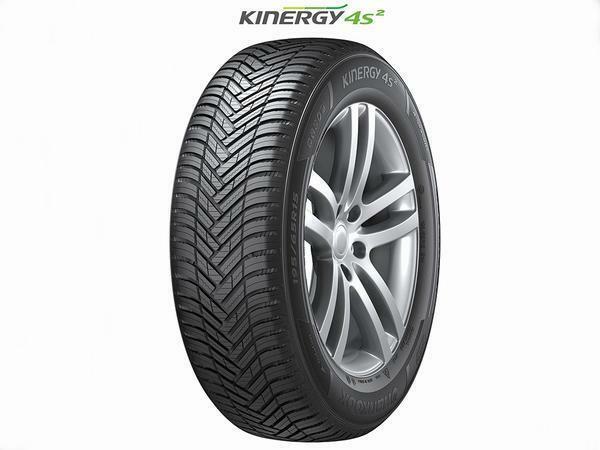 The Kinergy 4S² is a real all-rounder combining crucial summer and winter tyre properties without temperature-related performance losses. It is extremely reliable in wet and dry conditions as well as on snow. With its new V-shaped tread pattern and a state-of-the-art tread mixture made of natural oil components, the new Kinergy 4S² offers stable driving and braking behaviour all year round across the different temperatures. While extra-wide grooves disperse water and slush efficiently to the sides in winter months; during the summer heat, it impresses with short braking distances due to the solid block structure. Hankook manufactures globally innovative, award winning performance tyres for passenger cars, light trucks, SUVs, RVs, trucks, and buses as well as motorsports. The premium tyre maker provides original equipment for the world's leading car brands including Audi, BMW, Mercedes-Benz and Porsche as well as for major commercial vehicle manufacturers including MAN, Mercedes-Benz, Scania and Schmitz Cargobull. All you need to do to enter, is comment on this article saying "If I win a set of Hankook Kinergy 4S² tyres, I'm going to fit them to my (insert car here)." The competition will close at midnight on 26th April and the lucky winner will be listed on the thread. Make sure your email is up to date on your account so we can get in touch. Finally, to help PHers (and Brits in general) stay safe over the Easter holidays, Hankook Tyre is urging motorists to carry out basic tyre checks before setting off on a long car journey. As millions of Brits take to the road for an Easter staycation, Hankook is prompting drivers to keep in mind five handy tyre tips before setting off. 1. To enter, you need to comment on this article as noted above. 2. Competition closes at 11:59pm on 26 April 2019. 3. This competition is only open to those aged 18 or over, and proof of age/ID may be required. 4. No cash alternative. 5. Prizes are non-transferable. 6. Only one entry per person. 7. The winner(s) will be selected at random. 8. The prize consists of a set of Hankook tyres. Winner will receive a set of tyres up to the value of £500 (that is, 2 front and 2 rear tyres excluding fitting and wheels). The winner is responsible for any additional expenses, including all incidentals, which are not listed as part of the prize package detailed above. Hankook Tyre UK retains the right to amend the prize if necessary and/or to offer an alternative prize of equal or greater value. Hankook Tyre UK endeavours to have the prize delivered within thirty five (35) working days of notification. The Promoter: PistonHeads, 1 Fetter Lane, London EC4A 1BR. If I win a set of Hankook Kinergy 4S² tyres, I'm going to fit them to my (insert car here). If I win a set of Hankook Kinergy 4S² tyres, I'm going to fit them to my Wife. If I win a set of Hankook Kinergy 4S² tyres, I'm going to fit them to my Lancaster Bomber. If I win a set of Hankook Kinergy 4S² tyres, I'm going to fit them to my wife's car and make sure the life insurance policy is still up to date. Classic & Sports Car Show ticket competition!